Комедия режиссера Ацуко Хираянаги "О, Люси!" в Каннах! 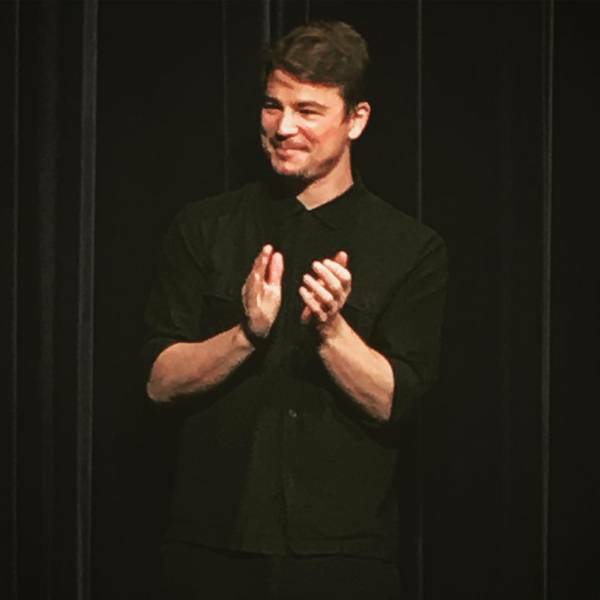 Вы здесь » Josh Hartnett Forum » Новости. News » Комедия режиссера Ацуко Хираянаги "О, Люси!" в Каннах! Вчера, 20 апреля 2017 года, была объявлена программа 70-го Каннского международного кинофестиваля / Festival de Cannes (17-28 мая). Одновременно с Каннским кинофестивалем проводится престижный конкурс "Неделя критики". Конкурс впервые появился еще в 1962 году. Его создал Профсоюз французских кинокритиков с целью поиска новых талантов среди молодых режиссеров. В киносмотре могут принимать участие только первая или вторая по счету полнометражная картина режиссера. В программе конкурса Неделя критики, в основном конкурсе будет представлена любовная комедия режиссера Ацуко Хираянаги «О, Люси!» С Джошем Хартнеттом в главной роли. Художественный фильм основан на короткометражном фильме с таким же названием, японского режиссера Ацуко Хираянаги, сценарий ее же. Короткометражный фильм О, Люси! выиграл приз жюри на международном кинофестивале Сандэнс- 2015. Directing duo Fabio Grassadonia and Antonio Piazza will open the Critics' Week program in Cannes with their genre-busting mythical mafia romance drama Sicilian Ghost Story, which will screen out of competition, organizers said Friday. The pair won the top prize in 2013 for their hit-man thriller Salvo and will bring their Romeo and Juliette-meets-The Godfather drama back to the sidebar. The out-of-competition closing film will be Dave McCary’s star-studded Sundance hit Brigsby Bear. The kidnap comedy from Saturday Night Live's Kyle Mooney stars Mark Hamill, Claire Danes, Greg Kinnear and Andy Samberg. The Critics’ Week sidebar aims to promote young filmmakers with first or second films in competition. In all, seven features are in competition for the Nespresso Grand Prize, and 10 shorts are in competition for the Leica Cine Discovery prize. Also screening out of competition in the sidebar are Hubert Charuel’s farm thriller Bloody Milk and Thierry de Peretti’s A Violent Life, which dives into the Corsican crime world with non-professional actors. Brazilian director Kleber Mendonca Filho, whose Aquarius was in the main competition last year, will head up the jury, which is rounded out by last year’s Chopard trophy winner Niels Schneider, 2015's Golden Camera winner Land and Shade producer Diana Bustamante Escobar, distributor Hania Mroue and film critic Eric Kohn. For the first time, the competition will include a documentary and an animated film amongst its seven entries. Ali Soozandeh’s Tehran Taboo skirts limitations of filming in Iran using animation to examine the hypocrisy of the religious regime there. And Makala, documentarian Emmanuel Gras' follow-up to his 2011 animal study Bovines, follows a Congolese trader’s life and family. 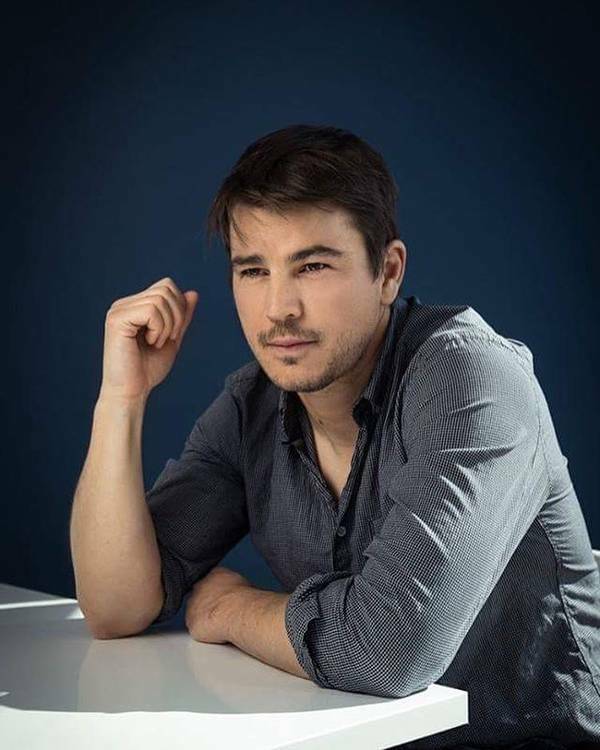 First features in competition include Japanese director Atsuko Hiranayagi’s star-crossed love comedy Oh Lucy!, starring Josh Hartnett, Lea Mysius’s Ava, a contemporary take on the economic and emotional limits facing today’s youth, and Gustavo Rondon Cordova’s Venezuelan-set father-son drama La Familia. Los Perros, the second feature from The Summer of Flying Fish director Marcela Said, examines the continued repercussions of the Pinochet dictatorship on modern day Chile, and Brazilian director Fellipe Gamarano Barbosa’s follows up his Casa Grande with African aid drama Gabriel and the Mountain. The sidebar will run May 18-May 26. 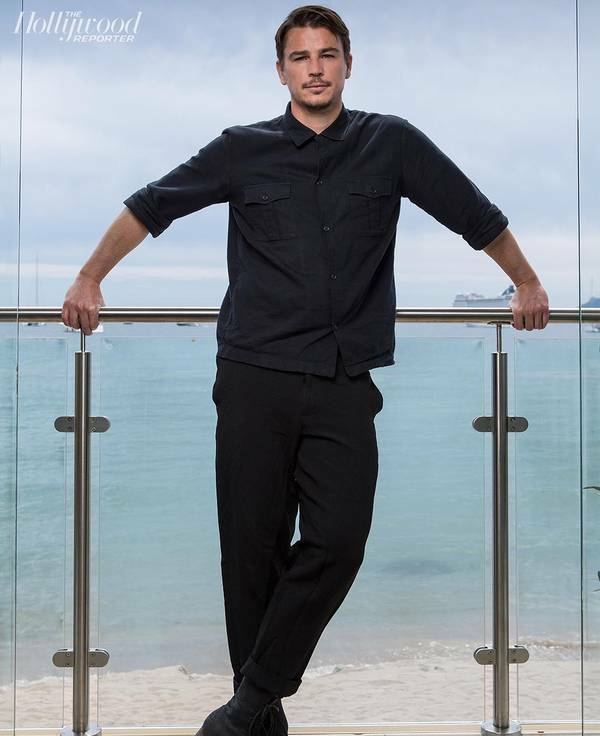 The Critics’ Week sidebar of the Cannes Film Festival revealed its selection for the 56th edition this morning with Artistic Director Charles Tesson unveiling 11 first and second features that will make up the main program, including seven in competition, as well as 13 shorts. American helmer Dave McCary’s directorial debut Brigsby Bear, whose film premiered in Sundance in January, will close the sidebar, while Fabrio Grassadonia and Antonio Piazza’s second directorial effort Sicilian Ghost Story is set to open. Critics’ Week celebrates films from first-time and second-time directors and this year, says Tesson, the section received 1,700 short films and watched 1,250 feature films. Among the 11 features selected, six are first films and five are second films. Italian directors Grassadonia and Piazza will return to the sidebar for a second time after their debut Salvo won the Grand Prize in 2013. Supernatural thriller and unconventional mafia pic Sicilian Ghost Story focuses on a young girl who rebels against the silence of a village after her love, a young boy of 13, vanishes. McCary’s debut Brigsby Bear, which was picked up by Sony Pictures Classics for $5M in Sundance, stars Kyle Mooney, Claire Danes, Mark Hamill, Greg Kinnear and Andy Samberg in a quirky comedy about a children’s TV show produced for an audience of one (Mooney). When the show abruptly ends, his life changes forever and he sets out to finish the story himself. Hubert Charuel’s debut Bloody Milk (Petit Paysan) focuses on a farmer in his thirties, whose life revolves around his farm and cows until misfortune strikes. The thriller will receive a special screening while Thierry de Peretti’s second feature, A Violent Life (Une Vie Violente), which examines the political and historical dimension of Corsica, will also get a special screening. There’s a big spread of nationalities in this year’s selection, with two French directors in competition and directors from Latin America, Asia, the Middle East and the U.S. in the mix. It’s also the first time in Critics’ Week history that both a documentary and animation film are in competition: Ali Soozandeh’s animation Tehran Taboo, which explores the unconceivable picture of life in Tehran, and Emmanuel Gras’ second documentary Makala, which is set in the Congo, are both in competition. The 10 short films and seven feature films in competition will be submitted to Brazilian director Kleber Mendonca Filho, who is this year’s Jury President. He’ll award the Nespresso Grand Prize and the France 4 Visionary Award for feature films and The Leica Cine Discovery Prize for short films. Critics Week will take place from May 18-26. Эксклюзив: Непревзойденная романтическая комедия "О, Люси!" на Каннской неделе критиков. EXCLUSIVE: Off-beat romantic comedy set to premiere in Cannes Critics’ Week. 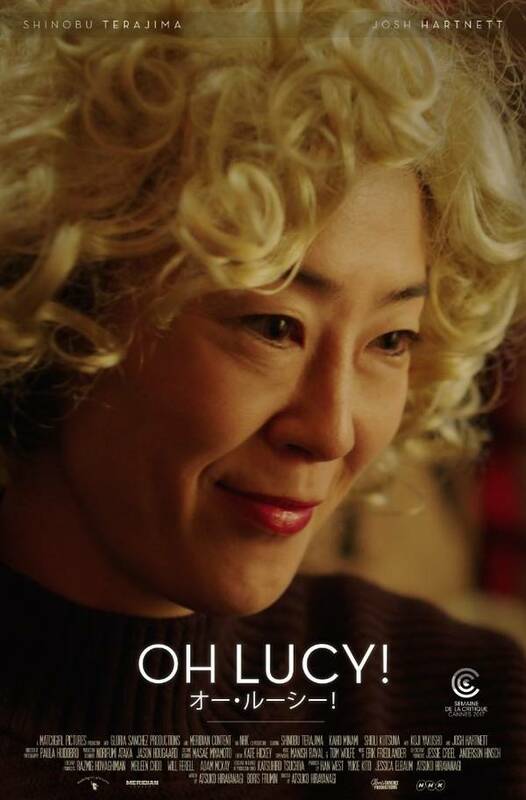 Paris-based Elle Driver has snapped up international sales on Atsuko Hirayanagi’s off-beat comedy romance Oh Lucy! ahead of its premiere in Cannes Critics’ Week. 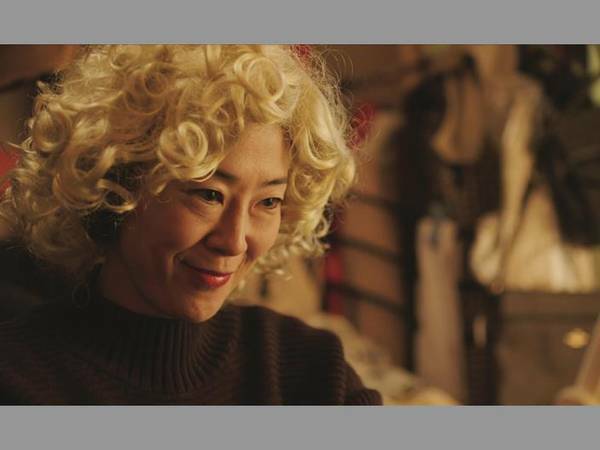 Top Japanese actress Shinobu Terajima stars as Setsuko, a lonely, chain-smoking office worker in Tokyo, who brings fresh meaning to her life when she starts taking English lessons, dons a blond wig and adopts a new American persona called Lucy. 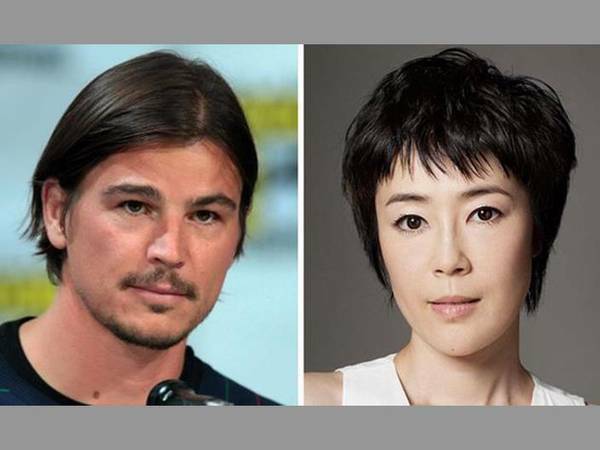 In the process, she also falls for her American English teacher played by Josh Hartnett. When he suddenly disappears, she teams up with her sister to track him down in a journey that will take them to some of the sleazier parts of outer Los Angeles. 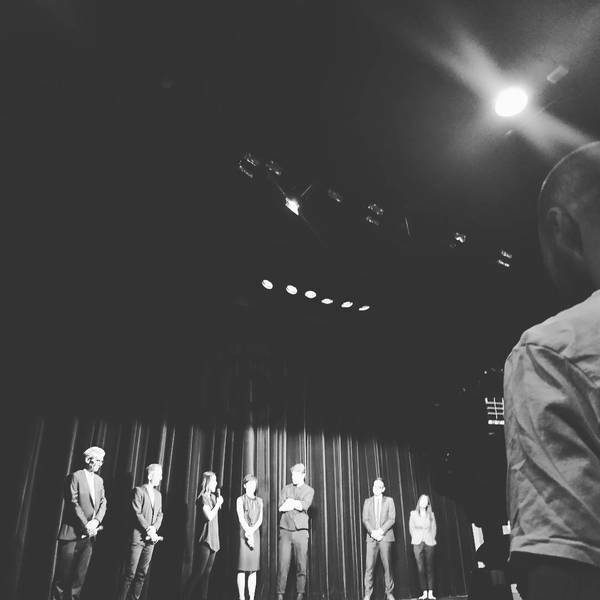 The feature builds on Hirayanagi’s short film of the same name which premiered in Cannes in 2014, after winning the second prize in the festival’s Cinéfondation Selection initiative focused on shorts and medium-length works from film schools from around the world. That work – starring a different cast from the new feature - went on to win the short film jury prize at Sundance in 2105 and played at more than 20 top festivals worldwide including SXSW and Toronto. Shot between Tokyo and Los Angeles at the end of 2016, the feature is produced by Matchgirl Pictures; Gloria Sanchez Productions, Jessica Elbaum’s female-focused off-shoot of Will Ferrell and Adam McKay’s Gary Sanchez Productions, and Han West’s Meridian Content with Japanese broadcaster NHK on board as a co-producer. 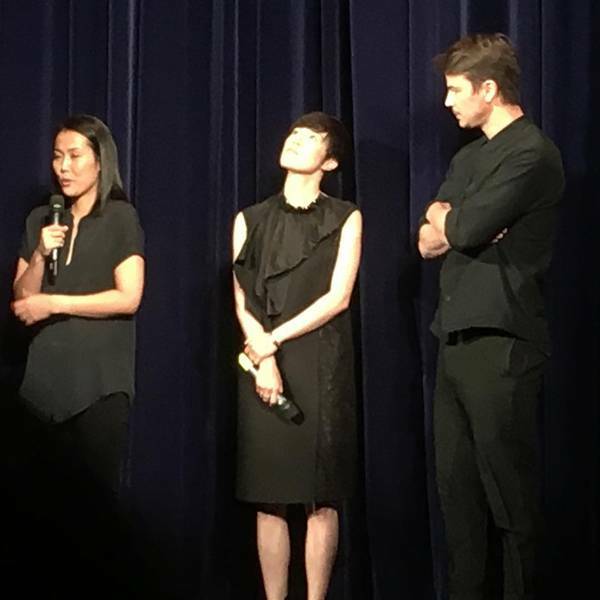 “From the second we saw Atsuko’s short film, it was clear we were watching an original at work. 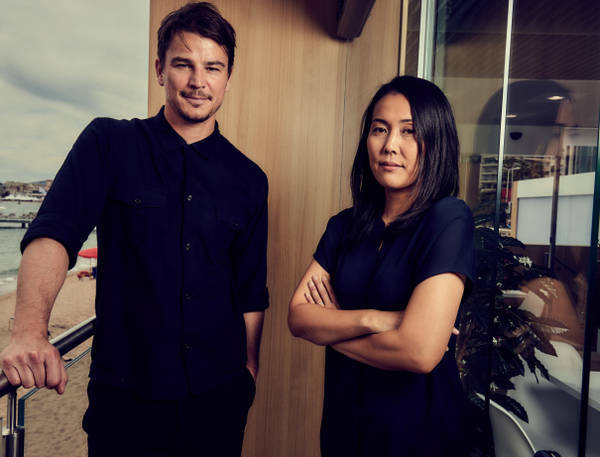 Now to see it translated into a feature, Jessica, Will and I couldn’t be more excited,” commented McKay ahead of the film’s upcoming premiere in Cannes. 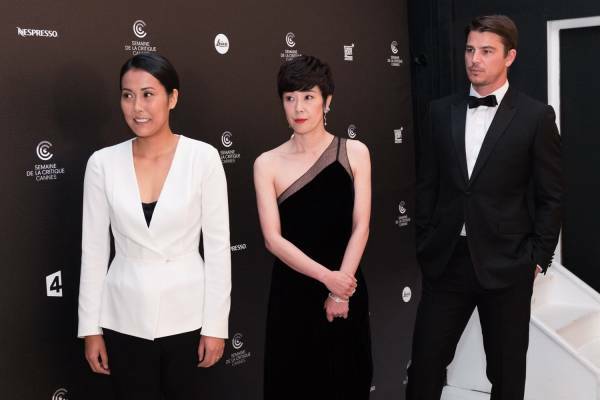 The feature’s selection in Critics’ Week marks a Cannes debut for respected Japanese actress Terajima who won best actress at the Berlin Film Festival in 2010 for her performance in Kôji Wakamatsu’s Caterpillar. Other cast members include Kaho Minami (Kabukicho Love Hotel), Koji Yakusho (Babel) and Shioli Kutsuna, who plays the role of the niece and daughter. Elle Driver is handling all international rights aside from North America, which is handled by Bec Smith at UTA, and Japan, where it has been acquired by Phantom Film and NHK, which has taken TV rights. В Каннах началась Неделя критики, в конкурсе примет участие, согласно программы, комедия режиссера Ацуко Хираянаги «О, Люси!» С Джошем Хартнеттом в главной роли. Джош Хартнетт и команда фильма представляют "О, Люси!" 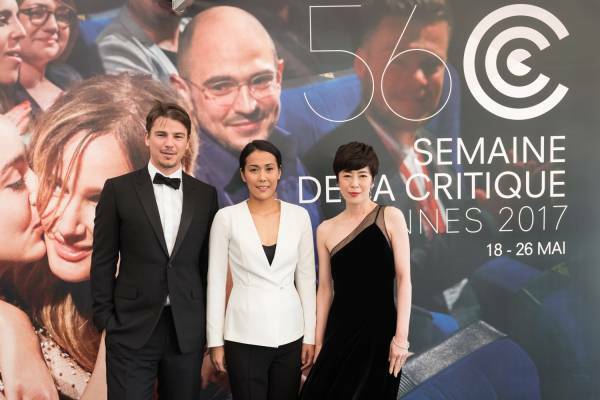 thomas_baurez Cannes Day 6 @Joshhartnett et @PhilippeQuaisse at work for@studiocinelive @semainedelacritique #OhLucy! Нью Йорк Таймс- "Звезды Каннского фестиваля этого года"
Рhotographer Victoria Stevens для The New York Times "The Stars of this Year’s Cannes Film Festival"